Selecting the right roofing contractor in San Antonio to fix your roofing issues is the most daunting task. Here, we have provided a whittled list of things to consider before hiring a roofing contractor to get the job done for you. 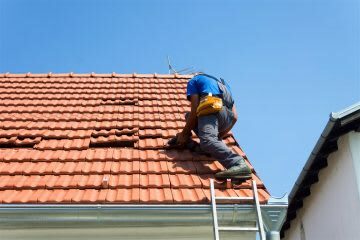 The roofing contractors you hire should have years of experience in the industry and should be skilled to carry out all repair and maintenance with ease. Obtain quotes from different contractors and compare it to choose the right one for your job. Also, evaluate their products, features, installation practices, pricing, warranty of roofing products and more to hire a better find. Before signing up with a roofing contractor, make sure whether the one you are choosing is insured or not. Ask for the liability insurance and worker’s compensation certificates to ensure that the service they offer is protected with the security of coverage. Talk to their previous clients to learn about their work ethics and reliability. Ask about the quality of the work they deliver and if possible, check in directly to inspect their work. Also, while choosing a roofing contractor, always go local because there is a less chance of potential issues or scams when you choose one from your community. Moreover, they would be familiar with local rules and code regulations and have a relationship with area crews and suppliers. Looking for a reliable roofing service in San Antonio? Visit https://santexroofing.com/ now to get free estimates.